The very sweet couple met in Hong Kong, where Ricki was Hann’s landlord briefly. 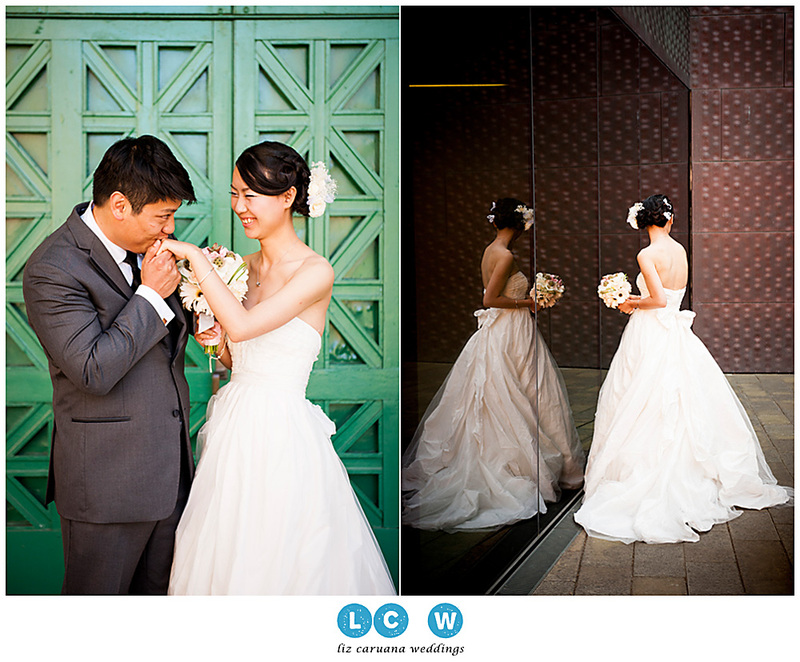 They have been living in San Francisco for several years, and decided to be married in the city they now call home! People flew in from around the world from as far as France to China. 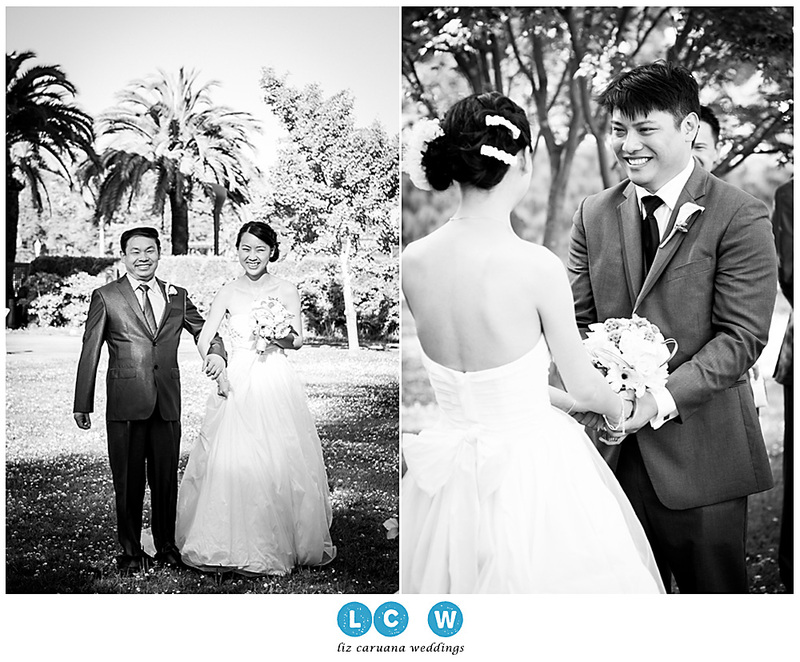 Ricki and Hann’s day was one gorgeous moment to be captured after another. 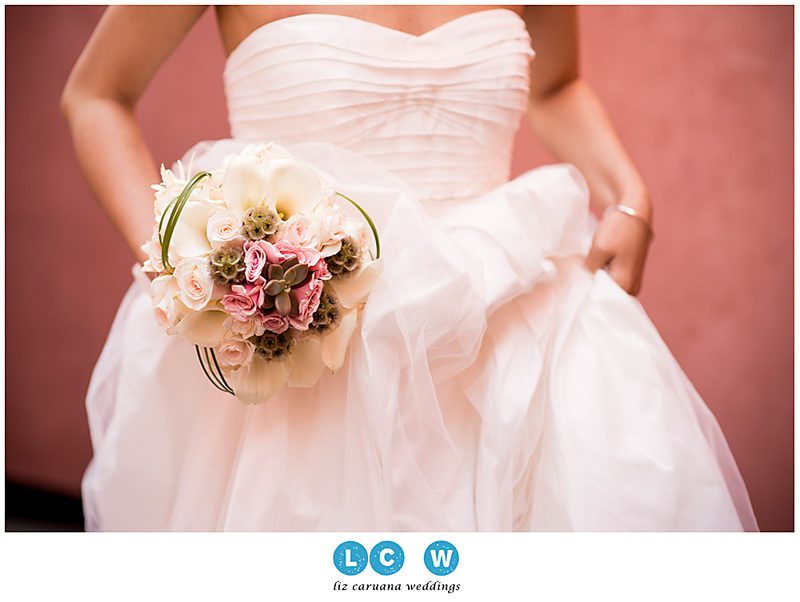 The stunning pink dresses worn by the bridesmaids were complimented with pink and white carnations and lilies. 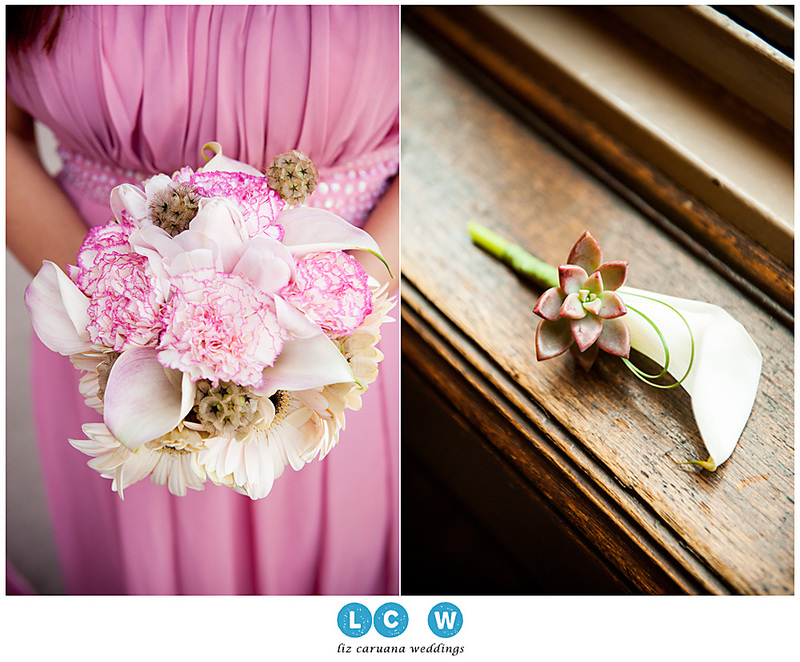 The boutineers were a combination of both lilies and succulents and offset the grey suits the groom and groomsmen wore. 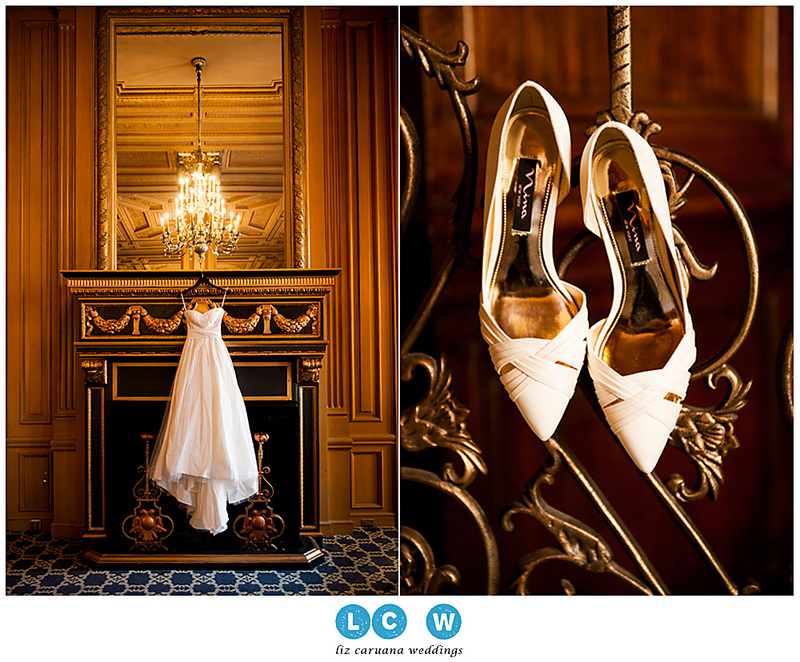 The wedding party got ready at the Drake Hotel, with the boys down in the main lobby and on the cable cars and the girls prepping and primping in the corner room overlooking downtown San Francisco. 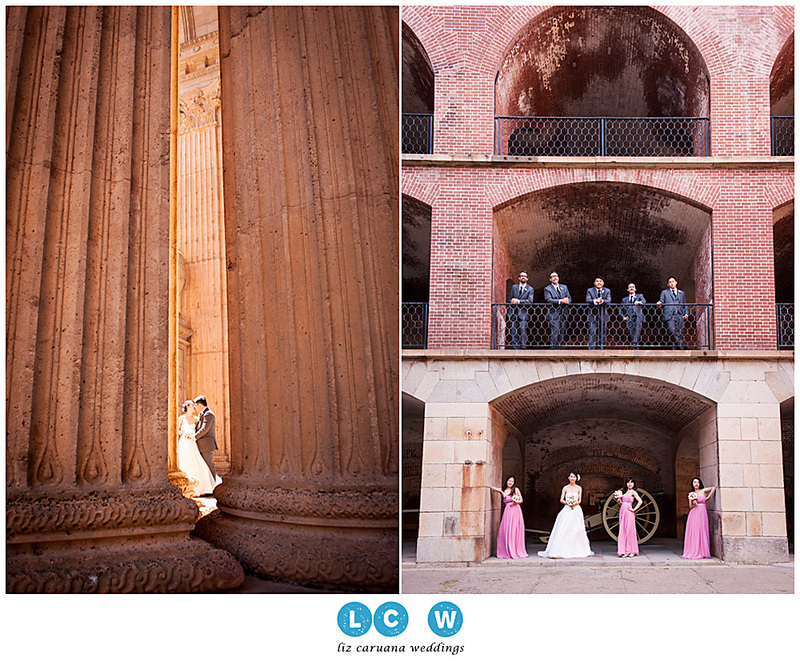 Ricki and Hann had the most beautiful first encounter setting at the Palace of Fine Arts. The brides parents couldn’t be happier and walked Ricki down the aisle with absolute glee. 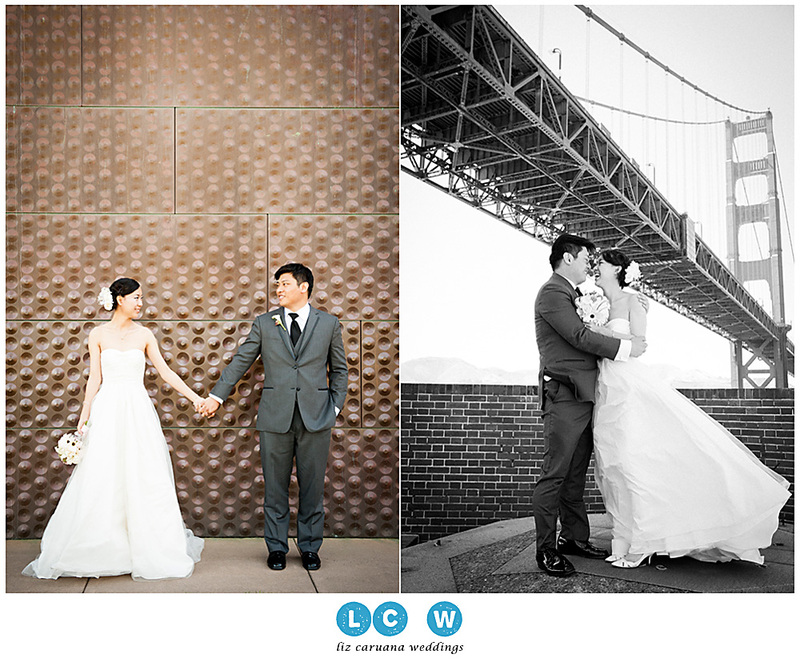 They then met their entire wedding party at Fort Point to take some epic pre-ceremony photos. 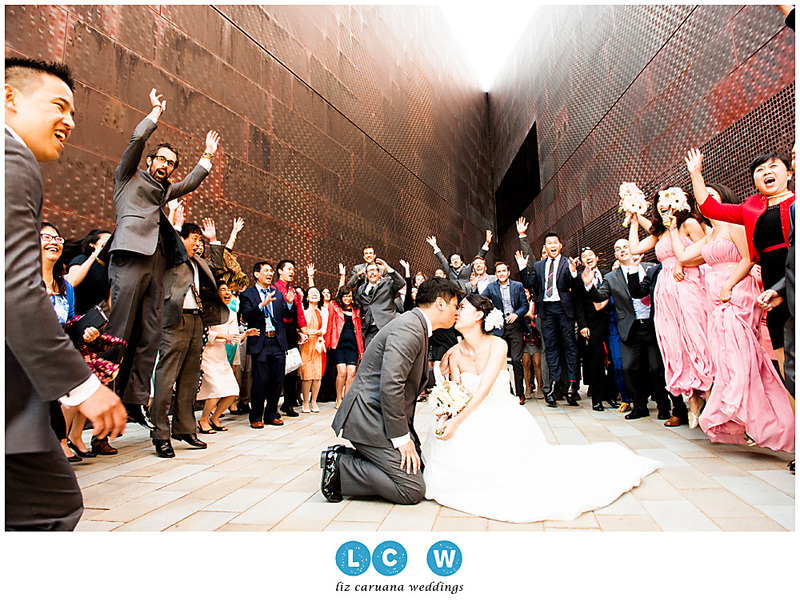 An architect by trade, it is no wonder Hann chose the de Young Museum as the backdrop for his wedding. 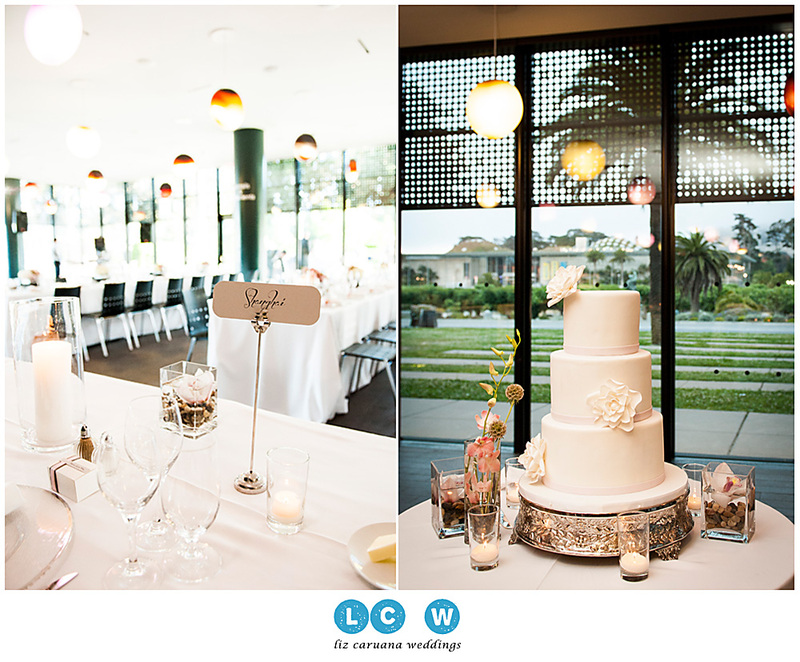 The cake was classic and stylish subtly complimenting the architectural splendor that is the the museum. 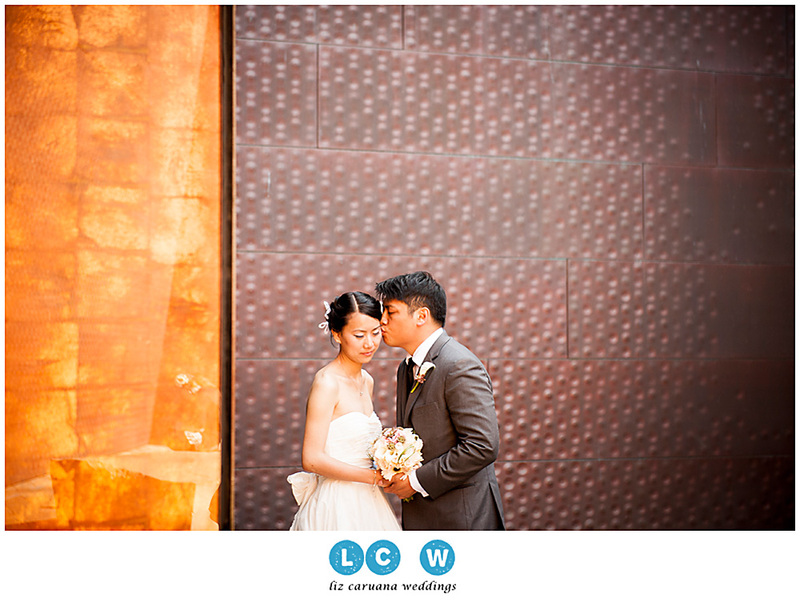 Ricki and Hann had some solo time in and around the property at the De Young Museum before they greeted their guests before their ceremony. 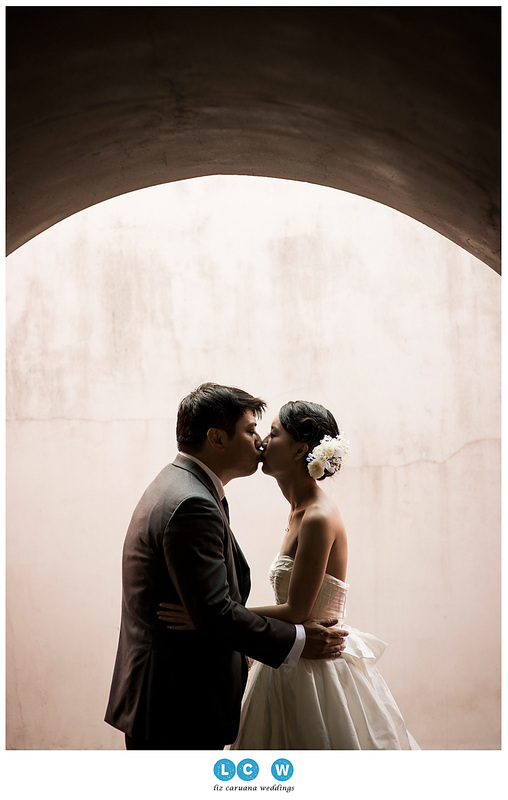 Around every corner was a stunning hideaway for Ricki and Hann to escape and enjoy each other’s company. 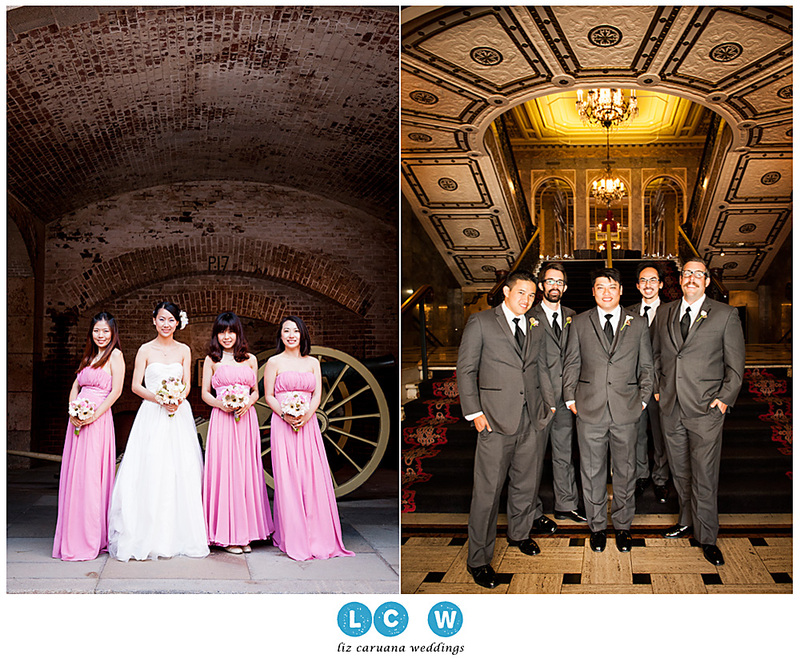 Their wedding day was epic and all the architecturally splendid locations we photographed made for an even more wonderous day. I couldn’t be happier that Ricki and Hann have found one another and I wish the newlyweds all the best! 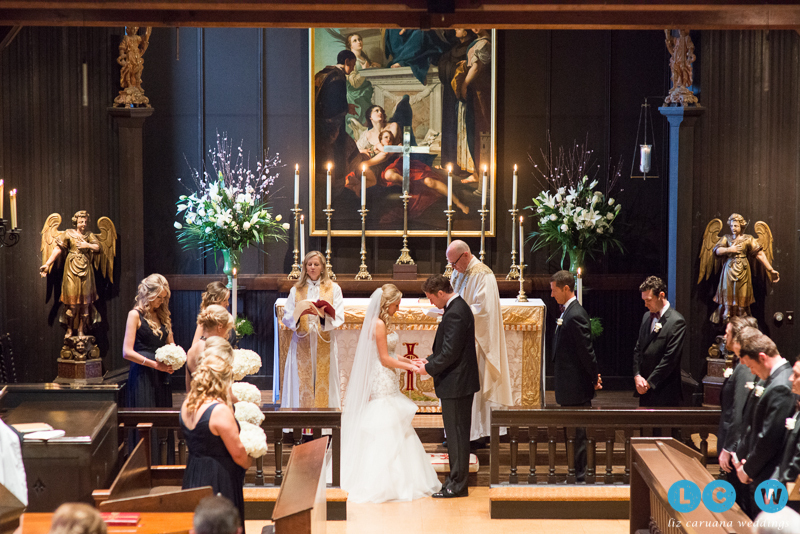 If you like this post and want to book a wedding with Liz or have questions about pricing, email her at or go to the website to check out more photos.